October is a big month for 10-year anniversaries in the local beer community. This month will see the 10 year celebrations of Everybody’s Brewing, Saraveza and this website. 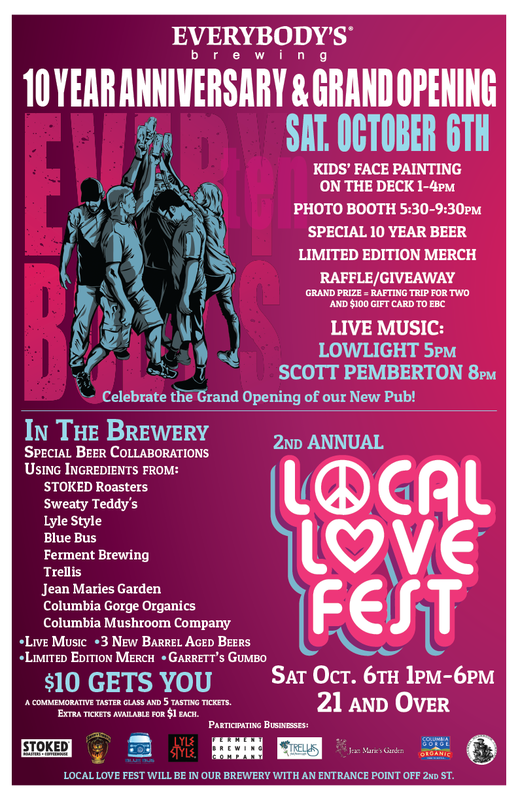 This month of anniversary festivities will kick off on Saturday, October 6, 2018 when Everybody’s Brewing hosts a threefold party – 10 Year Anniversary, 2nd Annual Local Love Fest, and the brewpub’s Grand Reopening! 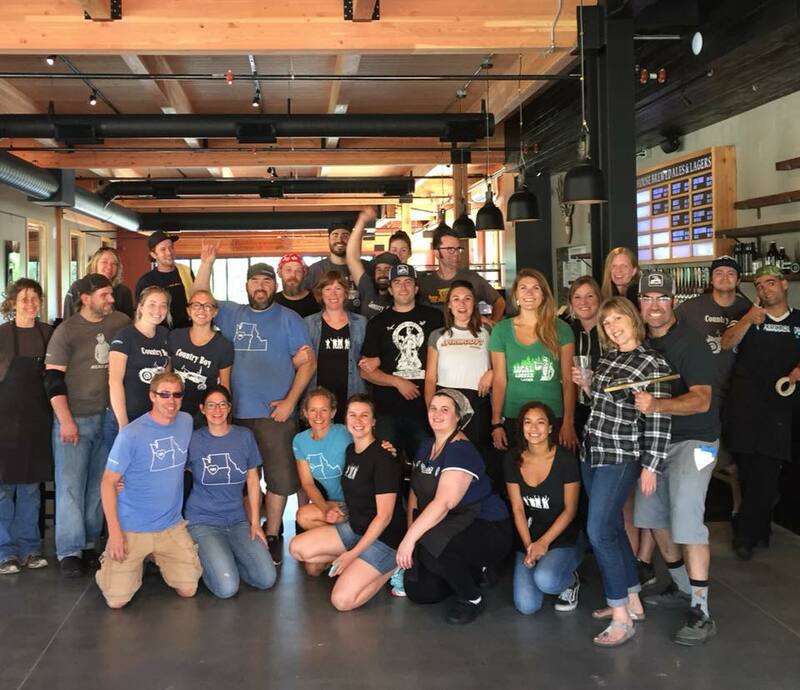 Prior to Independence Day, Everybody’s Brewing opened its new brewpub a few doors down from its original location in the heart of White Salmon, Washington. This new space is quite impressive as its home to a new 30-barrel brewhouse inside a brand new building. The day’s festivities will begin in earnest at 1:00pm when there will be hourly beer specials including the new 10th Anniversary beer, kids face painting from 1:00-4:00pm, a photo booth from 5:30-9:30pm and raffle prizes. At 5:00pm Lowlight will perform live music followed by Scott Pemberton at 8:00pm. “We’re excited to celebrate with our neighbors and to show people from out of town what it’s like to experience White Salmon’s local love,” said Christine in a statement.